Can I Drink Water Before a Fasting Blood Test? How Long Do I Have to Fast Before Taking a Cholesterol Test? Will One Day Water Diet Improve Blood Test Results? Should I Fast Before a Urine Analysis? 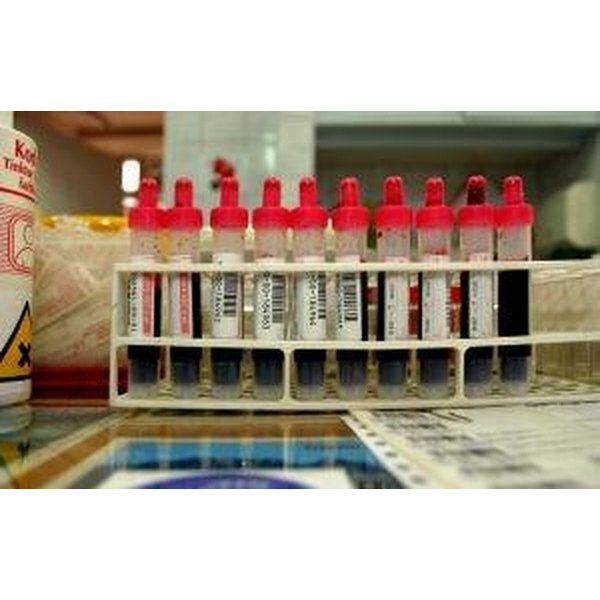 Blood tests are requested by doctors to check health and diagnose conditions. In order for blood tests to be accurate, the blood must not be tainted by activities that change the blood significantly. In many cases, the doctor gives out guidelines as to how much fasting is needed before blood is drawn. Eating within 14 hours may affect many blood tests that require fasting. Among the most common tests affected by eating include cholesterol and glucose. For tests on lipids and glucose, only water is okay to drink within 14 hours before a blood test. Drinks may have sugar and fat, which affects the blood. For instance, milk has both sugar and fat. Do not chew gum, including sugar-free versions, before the blood test. Chewing gum has the same effects as food on blood tests. Strenuous exercise should be avoided before the test, especially for blood tests that involve fasting. For example, blood glucose readings can change significantly due to exercise. Smoking can affect the results of many tests that require fasting. For certain tests, such as tests for lead in the blood, vitamins, minerals and herbal supplements should be avoided. How Does Diabetes Affect the Liver?